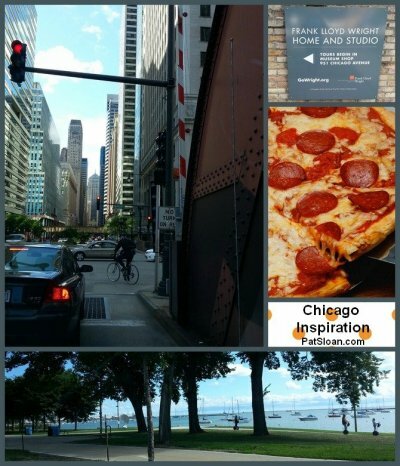 For our third city in Pat Sloan's Free 2014 Mystry BOM, Globetrotting, we travel to Chicago. For our third city we head up to Chicago! Pat has been through Chicago a few times. And she has taught in guilds and shops around the Chicagoland area, but never actually stayed downtown to experience the city. Pat was there in late summer and says it was beautiful. She's a huge fan of vibrant downtown cities and the drive through did not disappoint her. Pat wants to go back and be able to walk miracle mile, eat at the great restaurants and walk the lake front. 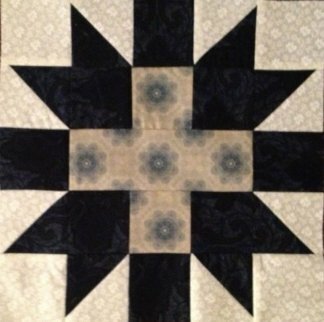 Pat was inspired to put the 'courtyard' in the center of the star. As she walked around the suburbs of Chicago she came upon an amazing little courtyard restaurant just off a main street.. it was delightful and Pat had the best pizza. That little afternoon inspired her block for this month. 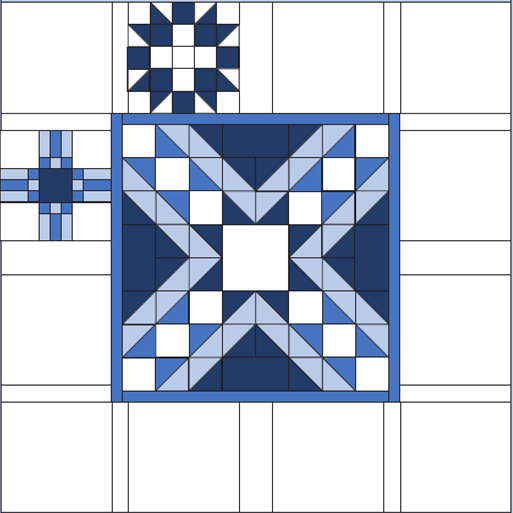 When looking at your fabric chart, Fabric 1,3, and 10 are used in this block. I missed typing that fabric 10 was used in block 3 but do not panic you have enough fabric. Sorry for the confusion if there is any.